J.K. Rowling has written three collections of short stories that take readers deeper into the “dark side” of the Harry Potter wizarding world, publishers confirmed Wednesday. Rowling reveals surprises and intricate details about several characters’ lives in the three new ebooks, which are available next month, Pottermore CEO Susan Jurevics said in a statement to TIME. The collections are presented by Pottermore, the interactive website Rowling created for Harry Potter fanatics, and cost about $3 each and will be released Sept. 6. 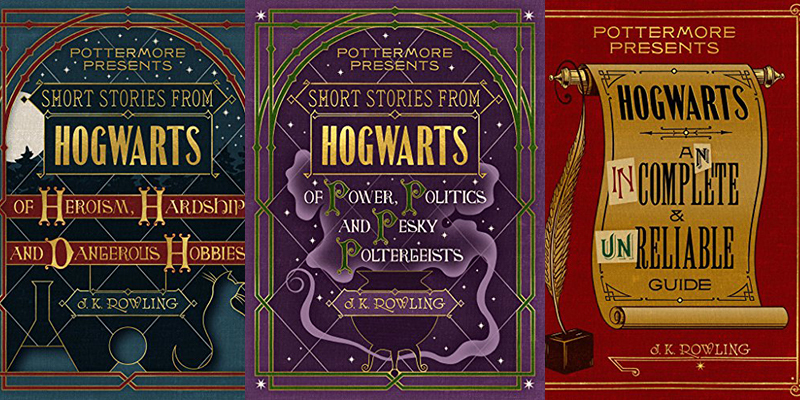 “Pottermore Presents is intended to supplement the Harry Potter book series with short-form content that is entertaining and thematically curated by the Pottermore editorial team,” Jurevics said. Each book is about 10,000 words long and is being sold on Pottermore and other online book retailers. Power, Politics And Pesky Poltergeists gives readers a glimpse into the “ruthless roots” of Professor Dolores Umbridge and the relationship between Professor Horace Slughorn and Voldemort when the Dark Lord was a young student at Hogwarts. The book also provides the history behind the Azkaban prison. Heroism, Hardship and Dangerous Hobbies profiles Minerva McGonagall and Remus Lupin, while Hogwarts: An Incomplete and Unreliable Guide focuses on secrets behind the walls of the wizarding school. The stories, which are available Wednesday for preorder, come after Rowling said the eighth installment in the beloved book series, Harry Potter and the Cursed Child, will be the last story about Potter in the saga. “A dark and electrifying novel about addiction, fanaticism, and what might exist on the other side of life. The hardcover, audiobook and eBook will be released on November 11, 2014. 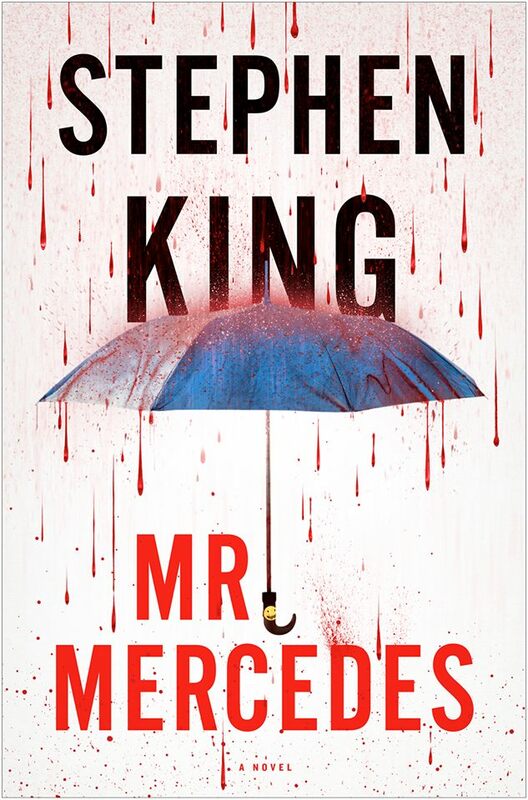 Today on Facebook Stephen King revealed the cover to his upcoming novel, Mr. Mercedes. The 496 page hardcover book is due from Scribner on June 3, 2014. The 496 page hardcover will arrive at bookstores on June 3, 2014. Naughty or nice, you’re invited to RiverRun Bookstore to celebrate Christmasland and Joe Hill! On Thursday December 12, 2013 from 7-9PM there will be readings by special guests Jason Ciaramella, Christopher Golden and James Patrick Kelly, as well as a raffle and refreshments, and more. 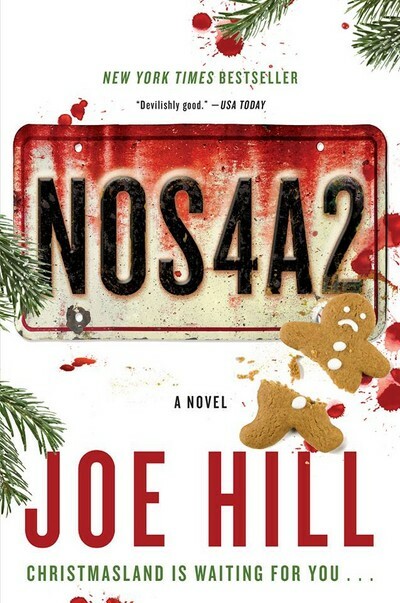 And of course, the King of Christmasland himself – Joe Hill! 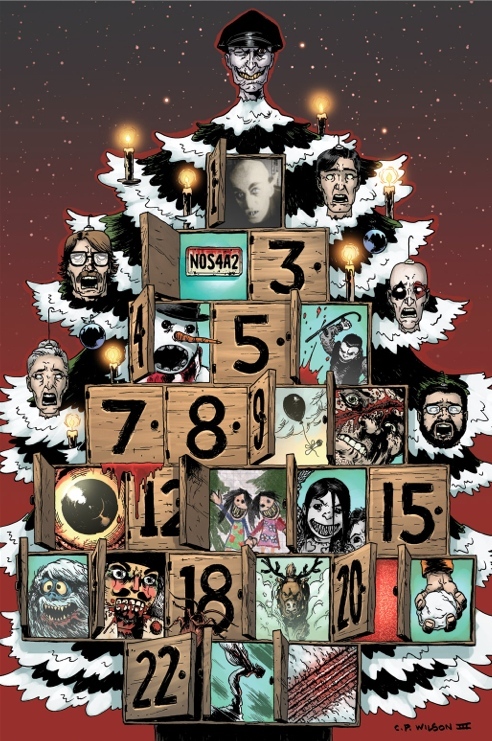 Tickets are $20 and include a paperback copy of the holiday edition of NOS4A2. (If you already have it, you can trade it in for store credit.) Purchase tickets here. Please note that the event is 18+. 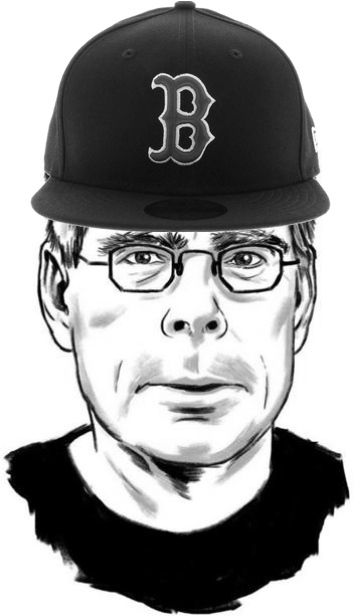 Novelist Stephen King has joined Twitter. 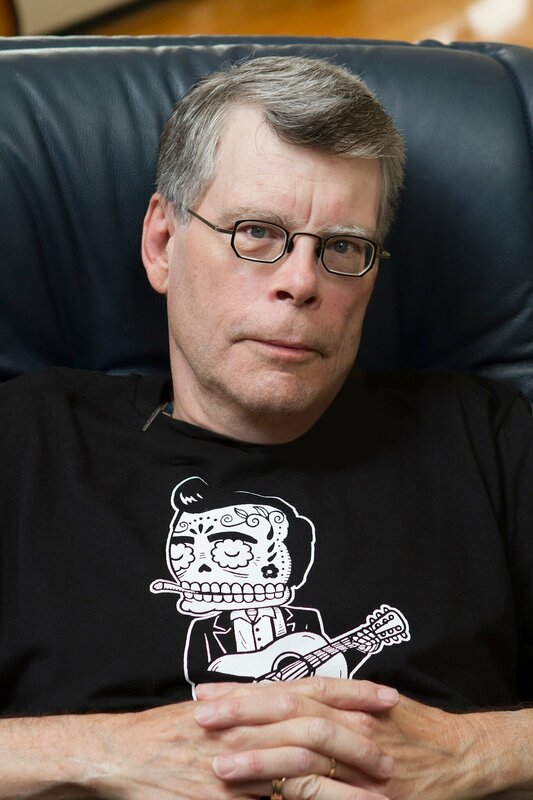 The best-selling horror writer from Bangor, Maine joined the social networking site on Friday afternoon. “My first tweet. No longer a virgin. Be gentle!” he wrote late Friday afternoon. In an hour, he had more than 30,000 followers. By midnight, he had nearly 95,000 followers. His first tweet was retweeted more than 2,000 times in a matter of minutes. On Twitter, King showed family loyalty among those whose tweets he’s following. 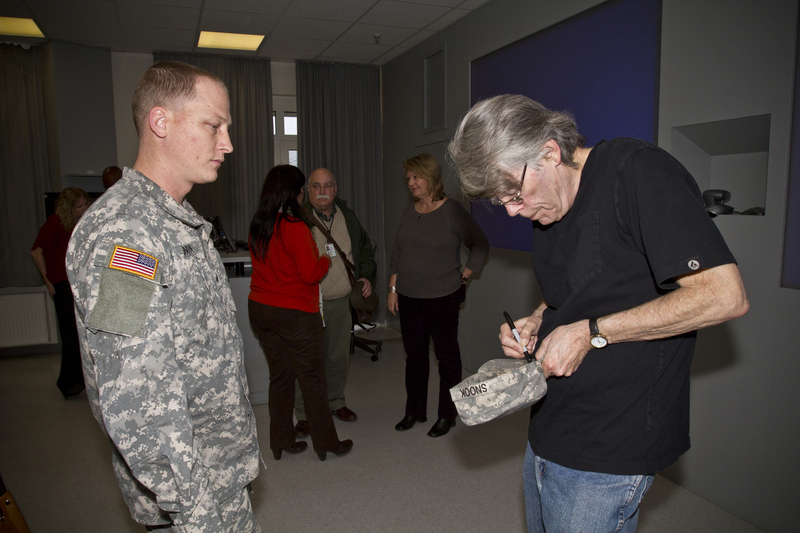 He signed up to follow his wife, Tabitha King, son Owen King and his other son who writes under the name Joe Hill. He’s also following his daughter, Reverend Naomi King, a Unitarian teacher. 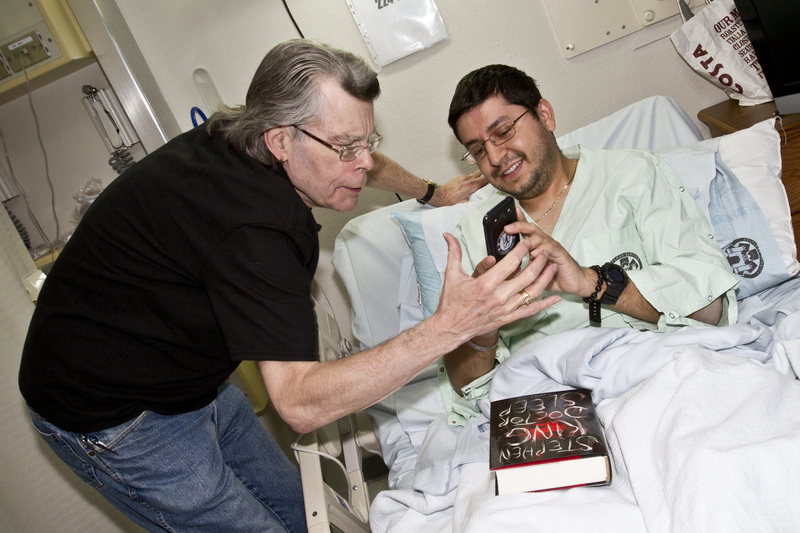 StephenKing.com believes it’s best to give and receive. So enter the Doctor Sleep Holiday Sweepstakes and capture the true essence of the season. 20 people will be chosen at random to receive a hardcover and an audiobook edition of Doctor Sleep—one to keep and one to give away—in addition to two promotional sleep masks. 160 additional runners-up will be chosen to receive a promotional sleep mask. 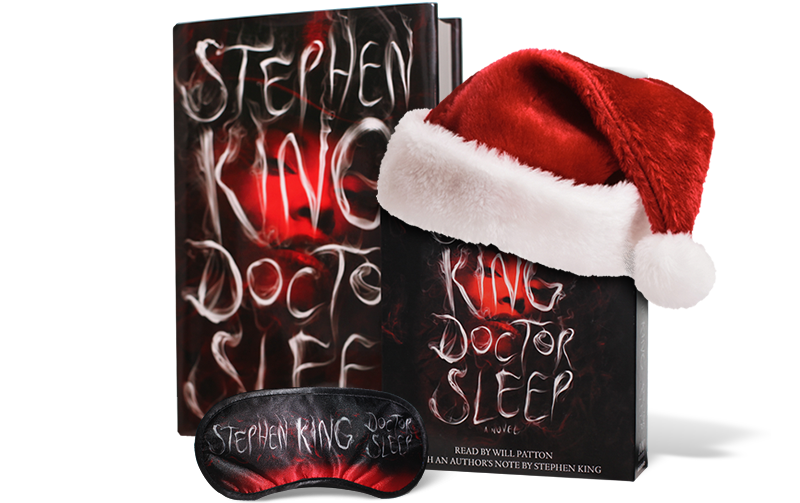 The Doctor Sleep Holiday Sweepstakes runs Tuesday, November 26th at 9am EST through Tuesday, December 3rd at 8:59am EST. Enter HERE. Happy Holidays and good luck! 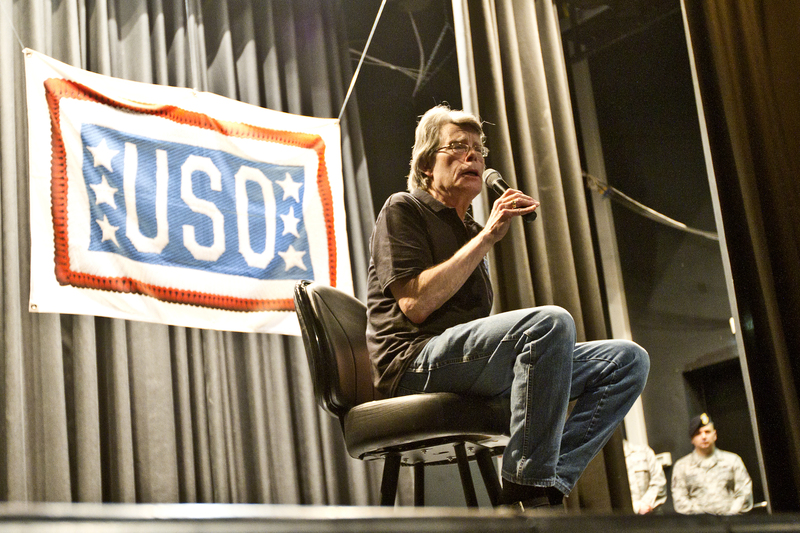 Midway through a European book tour promoting his latest literary masterpiece, Doctor Sleep, Stephen King joined forces with the USO on November 18, 2013 and participated in his first-ever USO visit. 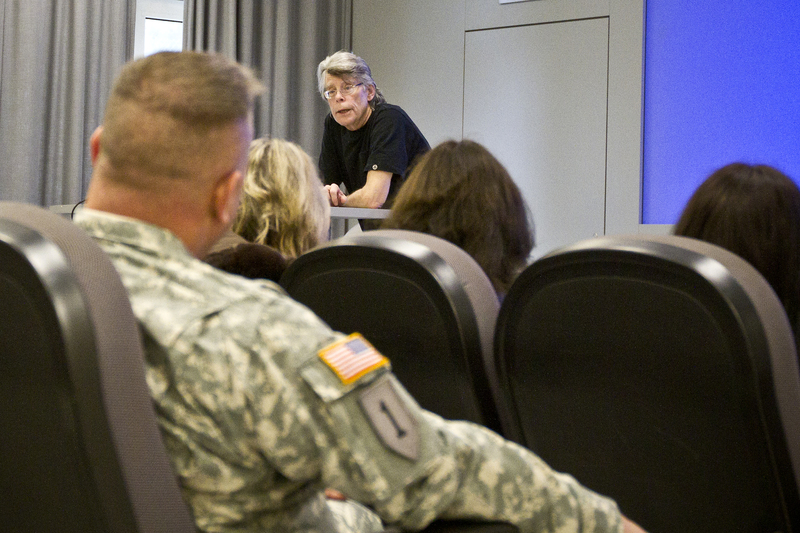 Passing out free copies of his book, visiting Landstuhl Regional Medical Center and leading insightful Q&A sessions with servicemen and women, King made every moment count with our nation’s troops and military families stationed in Germany on Monday. 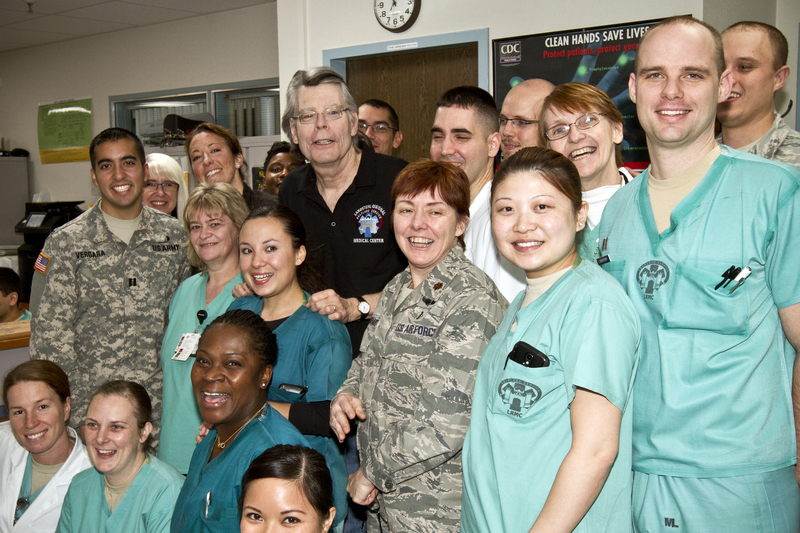 King kicked off his morale boosting trip with a visit to Landstuhl Regional Medical Center, where he extended his thanks to medical staff and walked from room-to-room visiting with troops and their families. 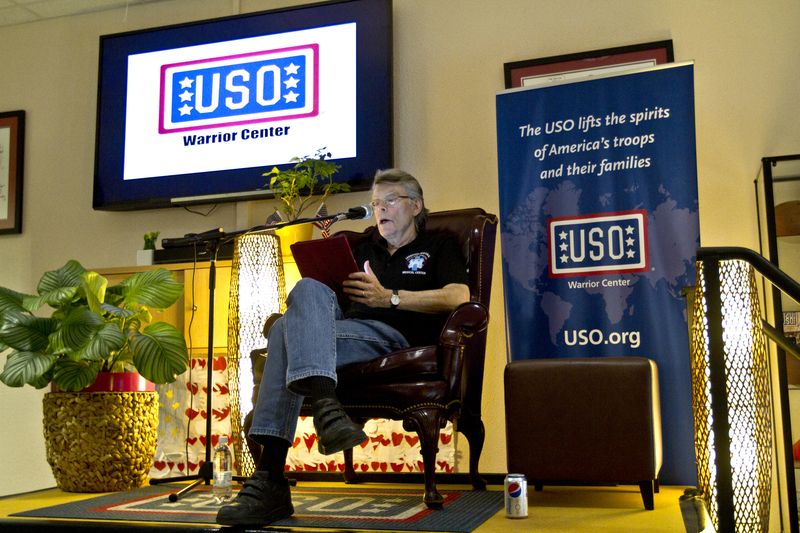 The best selling author then toured the USO Warrior Center and led an eye-opening Q&A, where he shed light into his creative process, novel inspirations and support of America’s Armed Forces. 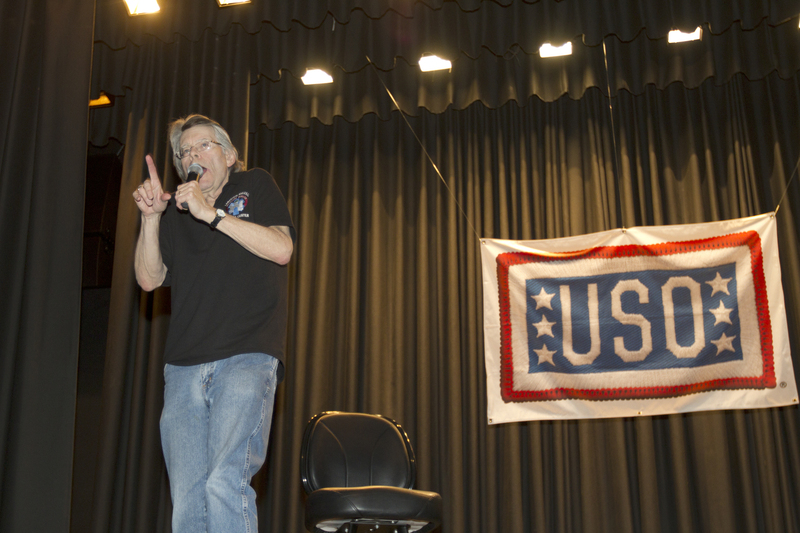 Capping off the day, King led a USO book reading of “Doctor Sleep” at Ramstein Air Base’s Hercules Theater. 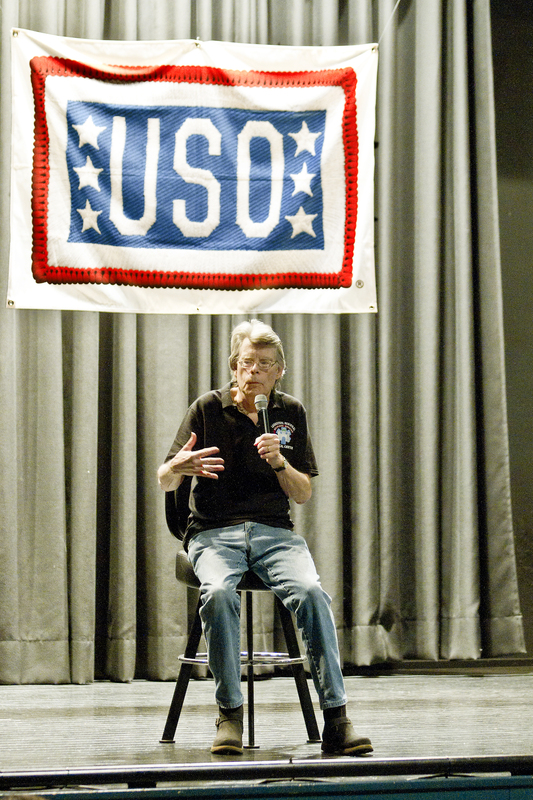 In total, King uplifted the spirits of and shared special moments with hundreds of troops and military families. 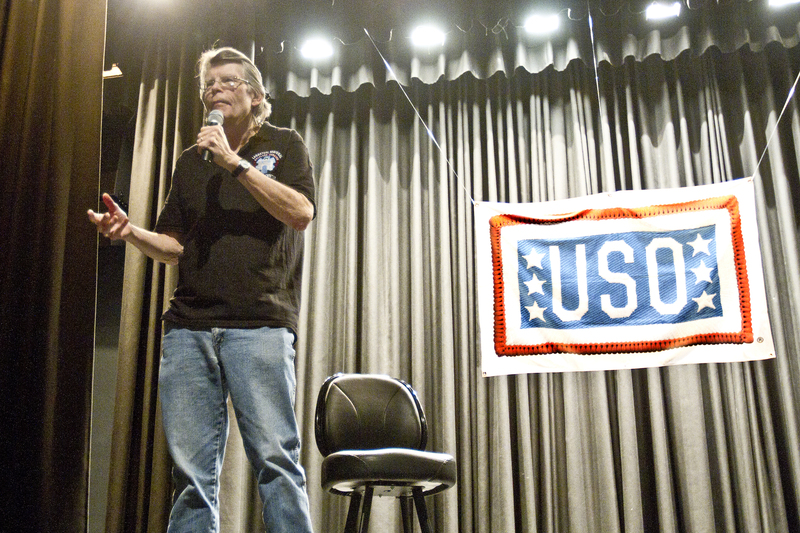 This visit marked the writer’s first USO experience. 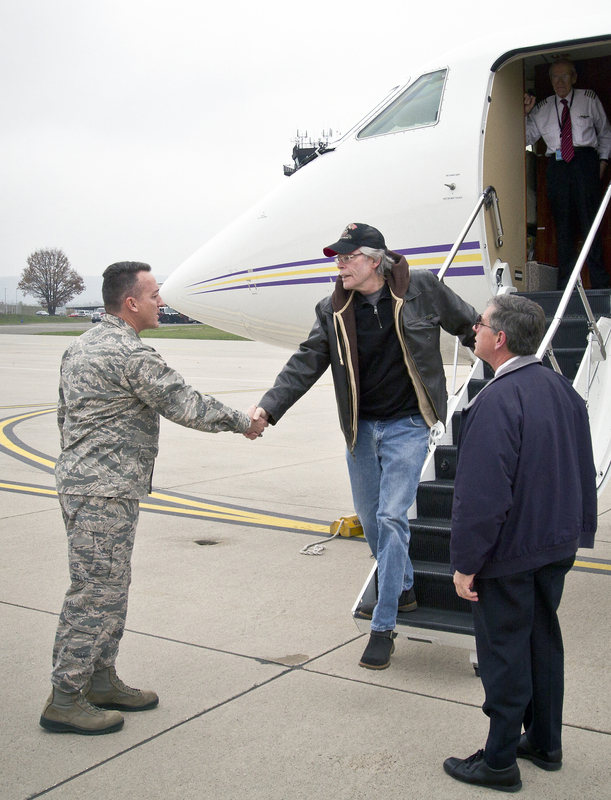 “I never realized until earlier this week just how important everyday moments with our nation’s troops and their families really are. 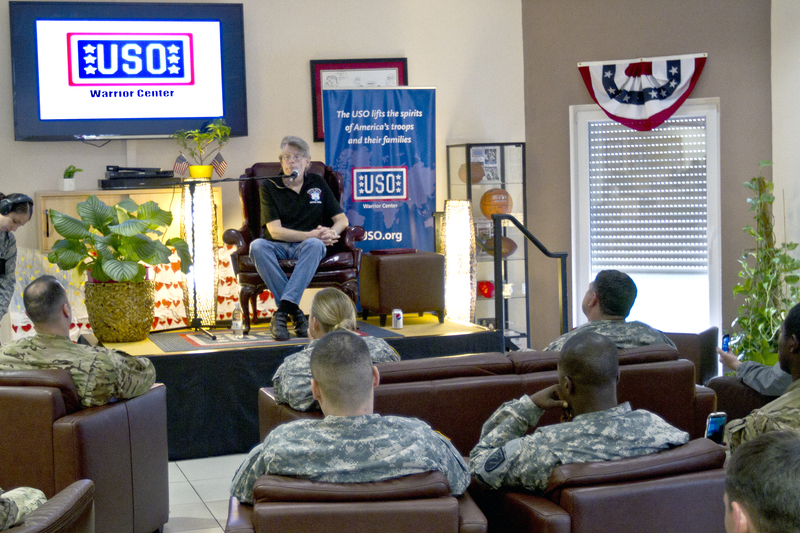 Volunteering with the USO and spending time with our men and women in uniform was an eye opening experience that I hope to be able to do again soon. 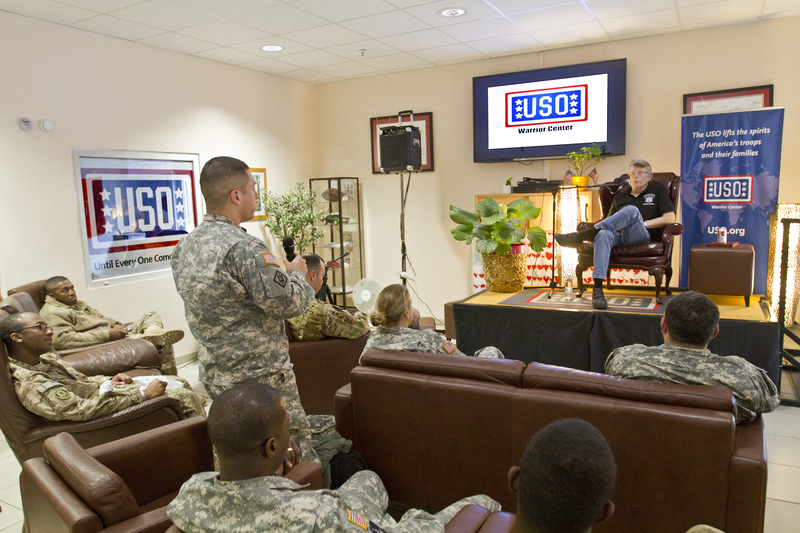 I stand behind the USO’s “Every Moment Counts” campaign and encourage others to join the USO in supporting our troops.”, King said. 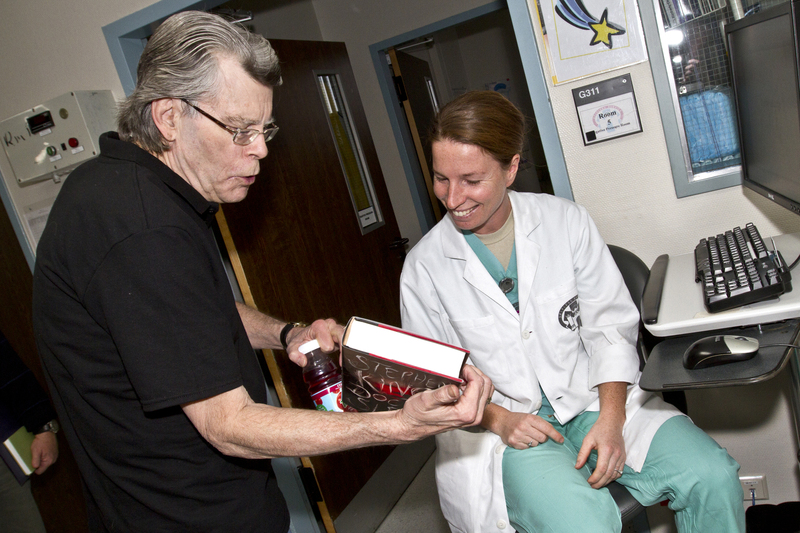 More than three decades after his wildly successful novel, “The Shining,” King released his first-ever sequel novel, “Doctor Sleep,” in January 2013. 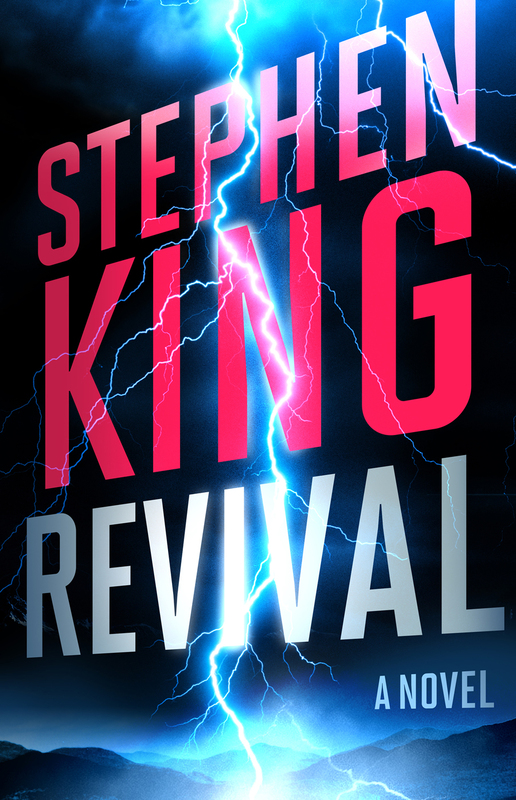 Returning to the character and territory of one of his most popular novels ever, King’s latest literary work follows the now middle-aged Dan Torrance and the very special twelve-year-old girl he must save from a tribe of murderous paranormals. 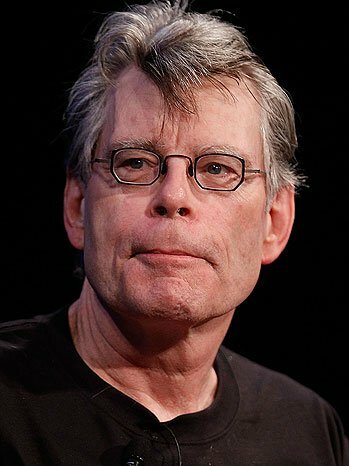 Known as the monarch of fictional horror, King has written more than 50 books and sold more than 350 million copies worldwide. 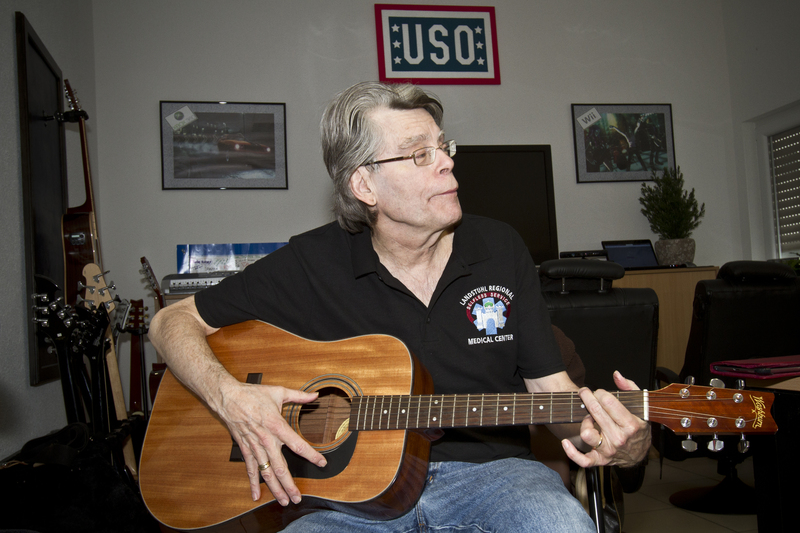 Whether writing stories about teenagers with uncanny powers (Carrie), vampires colonizing dead-end towns (Salem’s Lot), monstrous canines (Cujo) or tribal (Pet Sematary), King has mastered the art of terror. 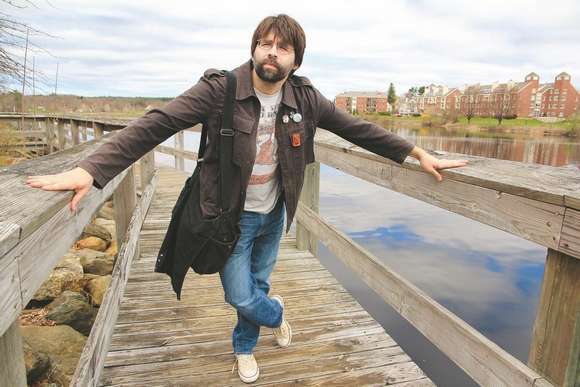 As soon as the writer Joe Hill began appearing in public, it quickly became clear that he looks an awful lot like that other Maine horror writer, his dad – Stephen King. In order to blaze his own trail, Joe decided to drop the “King” from his name. In the years following this bold move, Hill has published a book of short stories, multiple novels, an award winning comic book series and we will soon be seeing a big screen adaptation of his book Horns, starring Daniel Radcliffe as the demon in suburbia. 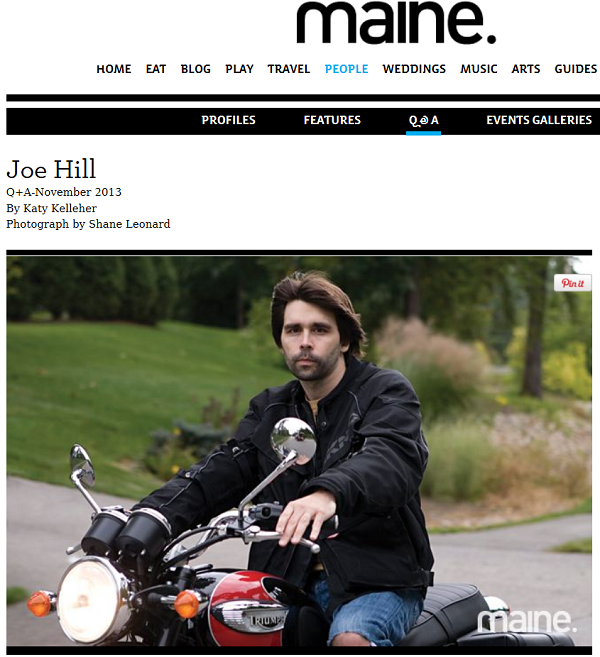 Joe took a few minutes to chat with Maine Magazine and you can read the interview HERE.